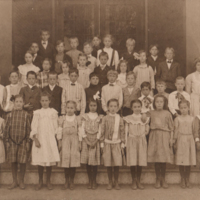 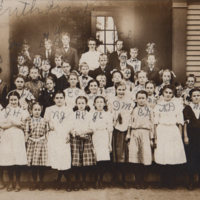 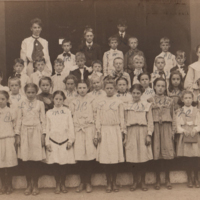 Two sepia pictures of a class at the Main Street School, Maynard, 1901-1902. 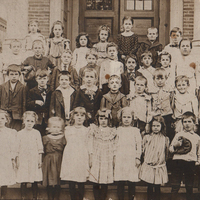 Cham Ayotte is the second row, fifth from right. 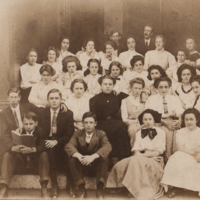 A 1910 sepia photo of Maynard High School students in the classes of 1910, 1911, 1912, 1913. 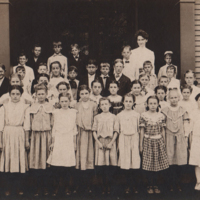 It was taken in front of the present Roosevelt School on Nason Street, Maynard.